World War Z. Not to be a spoiler, but it's about zucchinis and how they take over the world. Brad Pitt is amazing, but he's helpless against the zucchini invasion. Basically, it's an epic drama. So just like last year, we have a little veggie patch at home, and a little veggie patch in a community garden. You would think that I would know by now, two veggie patches with zucchinis in both means overwhelming zucchini, but when spring is drizzling it's way through the Pacific Northwest zucchinis are somehow optimistic plants to me. I heart them. So I possibly, maybe, could be, over plant them. C'est la vie. 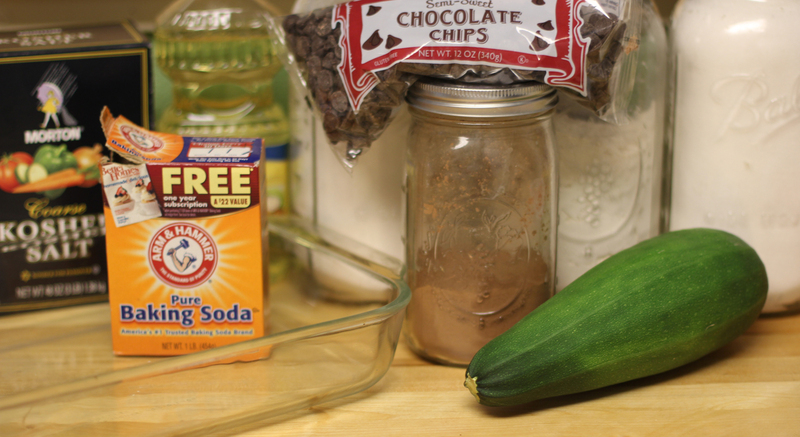 I learn to make things like Zucchini Brownies. Awesome. Brad Pitt, THIS is how you save the world. These DO NOT taste like veggies. They only taste wonderfully of rich chocolate and they are super moist and really delicious. In a large bowl, combine flour, cocoa, salt, baking soda and sugar. Mix until everything is combined. Stir in vegetable oil and vanilla. 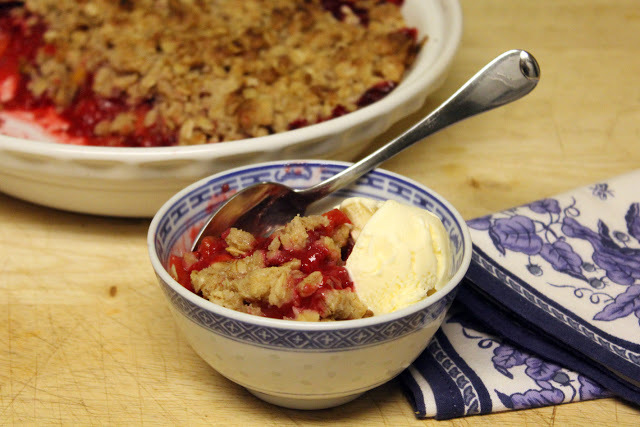 The mixture will look dry and crumbly. Then mix in the zucchini. Its kind of hard to get this going, and I used my hands a bit, but all of a sudden the zucchini releases all it's water and you finally have brownie batter! Once incorporated, stir in 1 cup of chocolate chips. Pour mixture into the prepared baking dish and bake at 350 for 25-30 minutes or until a toothpick inserted towards the middle comes out with just a few crumbs on it. While still piping hot, and while the oven is still hot, sprinkle the remaining cup of chocolate chips on top of the brownies. Pop the dish back in the oven for 1 minute. Remove the brownies from the oven. Spray a rubber spatula with cooking oil and gently spread the chocolate over the brownies. This makes and awesome and chocolate faux frosting. Let the brownies cool completely and enjoy! Like I said, it doesn't taste veggetably. It's just good! 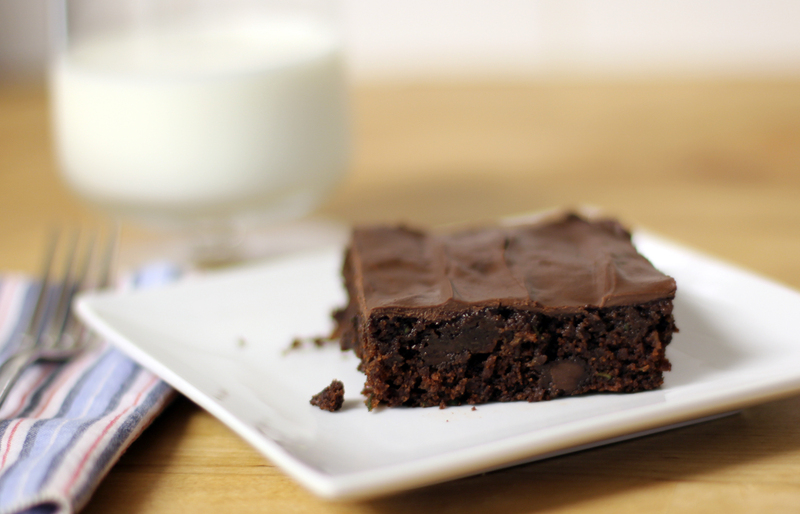 Since there is no egg in this recipe, if you're a fan of gooey, undercooked brownies, this recipe is for you. These were almost truffle-like the first day, they were so moist! The second day our house liked them even more! PS - I have not seen World War Z. I don't think it's really about zucchini.